Louis Warren Hill was born May 19, 1872, at the family’s Ninth and Canada cottage in the Lowertown neighborhood of St. Paul and was named in honor of family friend Father Louis Caillet. 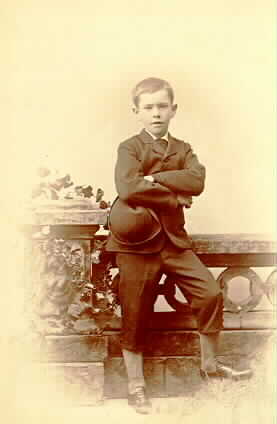 Louis’ education followed his older brother James Norman’s almost identically, starting lessons in 1878 with August N. Chemidlin at the Hill’s Ninth and Canada house, and continuing there with Professor Fairbanks 1884-1887. Louis later went to Phillips Exeter Academy but did not fare as well as Jimmy. James J. and Mary T. Hill wrote to both sons while at Exeter and Yale University, encouraging them to study harder. Despite the efforts of tutors, Louis was unable to pass the ancient languages requirement for acceptance at Yale and instead enrolled in 1890 into Yale’s Sheffield Scientific School for a three-year program, graduating along with his brother in the spring of 1893. For five years after college, Louis received the same $75 per month allowance plus expenses as did James Norman. Louis also began work immediately for the newly named Great Northern Railway and the Superior branch, the Eastern Railway. During this time Louis studied the iron ore deposits in Minnesota’s northern Mesabi Range, and purchased approximately 17,000 acres. Louis, along with James Norman, urged James J. Hill to acquire more ore-rich property and to buy the tiny railroad that linked the area to the GNR route. This was a spectacularly profitable move when large scale mining began in 1906. On June 6, 1901, Louis married Maud van Cortlandt Taylor at the bride’s brother’s home in New York City. Maud had grown up on Staten Island and came from a distinguished east coast family that had moved to St. Paul for a few years in the 1890s before returning to New York City. The couple honeymooned in Europe and returned to St. Paul to live briefly at the James J. Hill House until they rented the house across the street at 217 Summit while their home was under construction. Architect Clarence Johnston designed the large Georgian-style home next door to the Hill House at 260 Summit. The Louis Hill family, now including two infants, moved into their new home in December 1903. A large front section was added to the house in 1912, and included a second floor ballroom with pipe organ, four large guest bedrooms on the first floor, and a swimming pool in the basement. The family spent much time at the North Oaks farm, which Louis's mother gave him a year before her death in 1921. In 1910 Louis began purchasing orange grove property in the Redlands area of California as well as significant land at Pebble Beach on the Monterey Peninsula where the family often wintered. In 1901, Louis was put in charge of a massive improvement program on the Great Northern line between Minot and the Rockies. This was successfully accomplished, and it soon became clear that Louis, not James Norman, would be the Empire Builder’s successor. Louis began taking over the railroad management in 1904-05, and in 1907 he succeeded his father as president, holding the position until 1919. He became board chairman in 1912 and held that position until 1929. 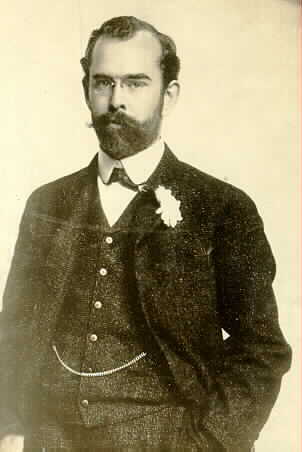 Louis also succeeded his father as board chairman of the First National Bank of St. Paul. The revival of the St. Paul Winter Carnival was largely due to his efforts as carnival president in 1916 and 1917. These were grand civic festivals, which also promoted the Great Northern Railway and Glacier National Park tourism. In photographs Louis appears more dapper and stylish than his father. He displayed a creative side: painting, photography, and making home movies. He also amassed a significant collection of Blackfoot Indian artifacts; many of these are now part of the collections of the Science Museum of Minnesota. Louis was a good public speaker and did much to improve public relations with the Great Northern Railway. He popularized the phrase “See America First” and is credited with the construction of lodging, trails, roads, and other tourist attractions, as well as the promotion of travel to Glacier National Park. Louis lived at 260 Summit for the remainder of his life, although he traveled frequently. In 1930 he built a Swiss chalet style cottage at North Oaks as a “winter family retreat.” Louis and Maud separated in 1934, and Maud moved a few blocks away to Portland Avenue in St. Paul. Louis W. Hill died on April 27, 1948, in St. Paul. His funeral was at the Cathedral of St. Paul, and he was buried in the Hill family section at Resurrection Cemetery in Mendota Heights, Minnesota. After his death, the family home at 260 Summit served as a retreat house and conference center, “Maryhill,” operated by the Daughters of the Heart of Mary. In 2001 it once again became a single-family home and has been handsomely restored. 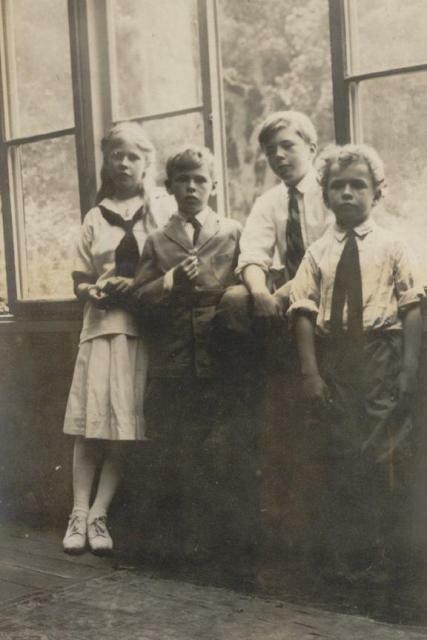 Maud and Louis had four children: Louis Warren Jr., Maud, James Jerome II, and Cortlandt. Son Louis Jr. attended Exeter Academy and Yale University, worked for the Great Northern Railway and the family timber lands in Oregon, served as a Minnesota state legislator, and was the president of the First National Bank in St. Paul. In the 1950s, Louis Jr. began the planned residential development of the North Oaks farm. The early homes of James and Louis Hill at North Oaks were eventually torn down, but the 1930 chalet is extant and privately owned. Daughter Maud made her home in California and raised four children. Son James Jerome II, who usually went by Jerome to avoid confusion with his grandfather, attended St. Paul Academy and Yale University, and achieved notable success as a painter, composer, photographer, and independent filmmaker. He directed 11 films and produced about 200 others, often for experimental filmmakers associated with Andy Warhol’s The Factory in New York. His documentary Albert Schweitzer won an Academy Award in 1957 as Best Documentary. Film Portrait (1972) deals with his youthful memories and includes rare footage of James J. Hill, Summit Avenue, and North Oaks. Jerome lived most of his adult life in Europe and New York with his partner, Charles Rydell. Cortlandt attended Exeter Academy and Yale University and lived the majority of his adult life in California. He was an entrepreneur involved in many businesses. Cortlandt was instrumental in the development of downhill skiing in the region, and served as manager of the 1952 Olympic Ski Team. Louis Hill’s philanthropy was extensive, and today the Northwest Area Foundation he founded is one of the largest in the region. Louis Jr. established the Grotto Foundation. Jerome created two foundations: the Jerome Foundation, funding artists and art-related projects in Minneapolis/St. Paul and New York City, and the Camargo Foundation, based at his former home in Cassis, France, which funds the study and application of French arts and humanities projects.